Since I started school at the University of Utah three years ago, I have done nothing but religiously follow my school’s football team, the Utes. It is my sole priority, my college calling, and my favorite thing to do. In my spare time, I attend classes, but everything important that I do is mostly just centered around football. The Utes are my life, so much so that I even work with a small board of students who organize all the tailgates and events for students to share in our love of college athletics. When I started my internship at Marketo, though, the other love of my life became marketing. Because I spend most of my time either watching a game or reading articles about MarTech, I thought it was a great idea to combine these two concepts and share with all of you where I see the overlap between business and sport. 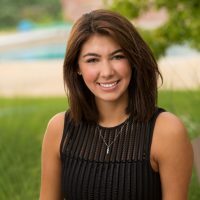 In this blog, I am going to share with you several reasons why demand generation marketing is like a game of college football, and to do it, I am going to shamelessly plug The Best University in the World, the U of U. The quarterback is what some might consider the most important position in football. While that is up for debate depending on what your school’s strengths on the field are, it’s pretty clear that your quarterback wears a lot of hats. Demand generation marketers have to be constantly on their toes, prepared to switch to a pass play if they know that their run game isn’t going to take them where they need to go. Harder still, the quarterback needs to be well-versed in all their plays so that they can make the best call for their team. Leads live and die with demand generation marketers, and if you don’t have all the information in front of you and don’t have an action plan laid out, your team will end up like your competitor, losing seven straight games in a row, like our rival did. What else does a good quarterback do? Call audibles. Sometimes the most incredible moments in a game are when the team has to follow their quarterback’s lead and change the play on the fly. Being in a role in demand generation means that things are constantly changing, so you have to be willing to call an audible for the good of the team. Being unwilling to make alterations to your plans will get you stuck in a rut, prevent you from gaining yardage, and put you on a fast-track to losing a lead before you get any further. In the world of marketing, demand generation is definitely in consideration for the coach of the marketing organization. A coach has to be prepared for anything. In a given season, you could have all the right plans, but the unexpected can still hit. USC could show up at your stadium and just destroy a home-game winning streak, or half of your offensive line could get hurt while attempting something they were incredibly unprepared for. Demand generation marketers have to be bold to achieve the results they’re looking for, and sometimes, you fall quite a bit short. You need to be resilient, act quickly, and look for opportunities for a Hail Mary, because trust me, if marketing really is anything like college football, you’re going to need a lot of those. A good coach also knows how to run the right play against the right team. There are hundreds of plays that a coach can choose from for his team, but the best coaches know which plays would work against the teams they’re playing, much like how the best marketers are able to make the right moves for the customers they’re engaging with. Learning everything you can about your lead and tailoring the “game-day experience” directly to them is a winning combination, as you’ll see the best results. Ah, the student section. A college’s “12th man,” of sorts. Your fans have the ability to make or break anything that you do both on and off the field. A good student section will follow your team through the darkest of times just in the sheer hope that someday you might win a national championship. Demand generation marketers are just as much the face of your brand as anyone else, sometimes more so. They are the first person to get in touch with your leads and convince them to move toward purchasing, even if they have no idea that you’re there. Truth be told, when I chose the University of Utah out of all of my options, it was the student section that sold me. I knew right off the bat that if I wasn’t wearing red and black as my school colors, I was somehow wrong in my selection. That is exactly where demand generation marketers come in! You show the customer every piece of information you have about why your product or service is the best in the biz. You send them personalized emails that bring them to their personalized landing page to read personalized content about why they need to adopt your solution today. Most importantly, you are the first person they come in contact with. While you may be working your enthusiasm from behind a keyboard, your “hype” will translate to your customers and they will believe that your product is worth their time. Your student section is also a great example of a good partner. 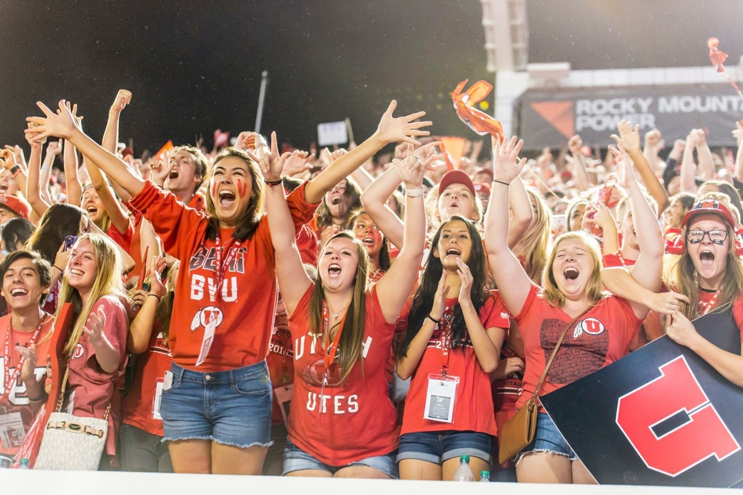 The Utes wouldn’t be complete without the Mighty Utah student section, just like how demand generation marketers need partners to cheer them on and give their customers all the tools they need to succeed. Not everything you do as a marketer is going to be perfect, but partnering with the right people will get you where you want to go. Recently, a good friend shared a story about the best Utah football game he ever attended. Picture this: The Utes are 9-0 in their 2008 season and in the middle of their most important game yet. TCU has the momentum, they’re favored to win, and in their arrogance, they miss two “gimme” field goals that ultimately will cost them the game. The Utes finished their season 13-0 and went on to win the Sugar Bowl. Why is that important to marketers you may ask? The determination and drive to win in the game of football are contagious, and so is the passion of a fearless marketer on a mission. Sometimes, you’ll be backed up against a wall, and you’ll feel like everything you’re trying is just not working. If you persevere, and if you continue to carry that game-winning spirit with you in every move you make, you’re sure to see your competitor stumble at just the right time, giving you the chance to steal the game right out from under them. Whether you’re a demand generation marketer reading this, or just someone who loves football, these comparisons definitely apply to you. Like a quarterback, you have to be on your toes. Like a good coach, you have to be prepared for anything. Like a great student section, you need to rep your team and share with anyone who will listen why you are the best of the best. Above all, you need to want to win. All of these things are a playbook for marketing success and the makings of an excellent team. How do you think marketers are like a football team? Let me know in the comments! And as always, Go Utes!